UCLA International Institute, February 27, 2019 — Award-winning Brazilian novelist José Luiz Passos, who became director of the Center for Brazilian Studies for the second time last summer, has been busy exploring the limits of fiction and history. The result of his recent explorations is a flurry of well-reviewed publications in Portuguese: the short story “Marinheiro só [The Lonely Sailor]”* (see translation published in Manoa 30 , 2018), the novels “O Marechal de Costas [The Iron Marshal]” (Alfaguara/Companhia das Letras, 2016) and “Antologia fantástica da República brasileira [A Fantastical Anthology of the Brazilian Republic] ” (Cepe Editora, 2017) and the novella “A órbita de King Kong [The Orbit of King Kong]” (Quelônio, 2017). In these new works, Passos — who is also a literary scholar and professor of Luso-Brazilian literatures and cultures in the department of Spanish & Portuguese — offers readers a chance to viscerally relate to historical events and personages. “All of these works explore something that I hope to shed light on — something human that often disappears from the horizon of how we talk about history and historical figures,” he remarks. The author’s previous novels — “Nosso grão mais fino [Our Finer Grain]” (2009) and “O sonâmbulo Amador [The Amateur Sleepwalker]” (2012) — dealt with memory and the past, but did not directly address Brazilian historical events or figures per se. Serendipity, in the form of a series of unexpected commissions, prompted Passos’ recent forays into Brazilian history. In 2013, a senior editor of Granta Brasil, the Portuguese edition of the literary journal, contacted him. The magazine was making plans for an upcoming edition about betrayal and would he like to write something? It was the year of the first wave of mass demonstrations against the administration of Brazilian President Dilma Rousseff (in this case, against transit fare increases). Passos, who had been leading a summer study abroad program in Brazil at the time and witnessed some of the protests with his students, was inspired to write about political betrayal. But he chose to write about the past, not the present. He eventually penned a fictional account of a young insurgent sailor who became a hero during the Navy Revolt of 1893, four years after the Brazilian Army overthrew the constitutional monarchy and established the first Brazilian Republic. The novelist would use a similar approach in several subsequent works: delving into primary historical sources, rewriting genuine documents and creating others from scratch, writing multiple stories that echo one another across time, jumping between historical eras and different styles of writing. In many ways, Passos’ interweaving story lines and chronologies call to mind the complicated film plots of Christopher Nolan — think of the three collapsing story lines of “Inception,” for example. “Marinheiro só [The Lonely Sailor]” led to an invitation to write a novel about an historical figure in the story, Marshal Floriano Vieira Peixoto, Brazil’s second president. “Peixoto was the one who fought the navy and made the transition possible from a military dictatorship – his – to a full democracy in Brazil for the first time,” remarks Passos. “My editor liked this character very much,” he recounts. “Peixoto was a very interesting man: laconic, didn't speak much, married his own half-sister, had a rural upbringing and descended from native Brazilians — which was a first among politicians in high positions in Brazil. 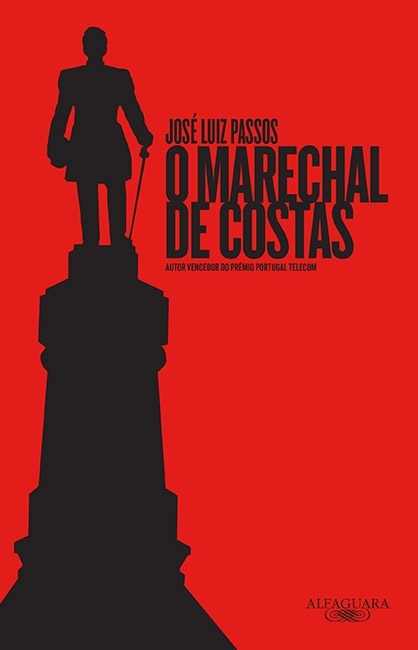 “There were no modern biographies of him,” he says, “so I wrote a faux biography with a second story line about a cook, a woman in contemporary Brazil, who unwillingly participates in the demonstrations against Dilma Rousseff.” The novel, “O Marechal de Costas [The Iron Marshal]” (2016), did very well on the Brazilian market. The story of the sailor was folded into the novel to which it gave rise (and was recently published in translation by Manoa, the literary journal of the University of Hawaii, in September 2018). Yet another commission soon followed. A friend and editor of the prestigious Pernambuco Literary Supplement — named after Passos’ home state in Brazil — invited him to write a novel about the Brazilian Republic. The state-sponsored commission was related to a celebration of the 200th anniversary of the brief 1817 revolution in Pernambuco and the state’s tradition of opposing central authority in Brazil more broadly. “Initially the idea was to put together an anthology of political history of Brazil,” recounts Passos. “But then I started rewriting the texts [of real historical documents] as short stories and plugging my own short stories into the narrative. 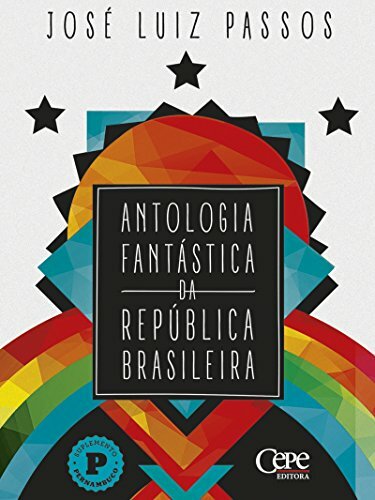 ‘Antologia fantástica da República brasileira’ (2017) became this sort of quilt of life stories that were touched by political upheavals,” he explains. 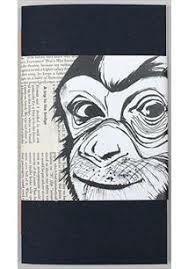 The same year he wrote “Antologia fantástica,” Passos wrote another imaginative re-telling of history — that of Ham, the chimpanzee whom the United States successfully sent into orbit and brought back to earth prior to launching manned flights. This time the offer to write came from an artisanal publisher in Brazil that creates limited-edition, hand-made books using an old-fashioned linotype machine. The novella about Ham became a family affair for Passos. The idea came from his daughter — who, together with his son, loves the California Museum of Science, where Ham’s space capsule is on display. His wife Raquel Barreto, a member of the design faculty in the department of theater at UCLA, illustrated the novella, “A órbita de King Kong” (2017), and the book is dedicated to his son. “It’s one of my favorite books,” remarks Passos, “and it’s doing so well. It came out in July 2017 and it's been reprinted 3 times — in lots of 100 numbered copies. The first 100 were numbered and signed by Raquel and I. Subsequent reprints — because we're not in Brazil — are just numbered, not signed.” The book has also received glowing reviews. 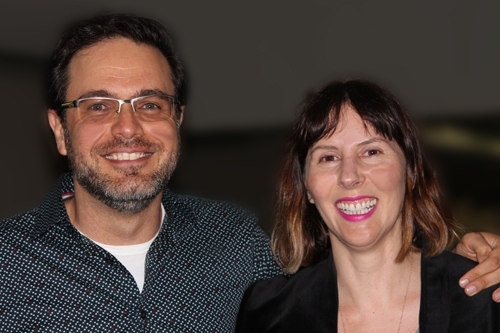 Passos previously led the Center for Brazilian Studies (CBS) from 2008 to 2011, when it expanded from a program to a center of the UCLA Latin American Institute. Today, he is focusing the center’s programming on “how Brazil came into being and how it came to be in the place it is right now.” Events that investigate the history, culture and language of the country are high on his list, including fiction by female Brazilian writers. Given a heavy teaching load and a barebones budget, Passos relies on a proactive faculty advisory committee and collaborations on and off campus to support Brazilian studies at UCLA. He also has plans to create a “Friends of the Center” body and to organize events in Brazil itself, with an eye toward attracting additional funding. In the same month (July 2018) that he became director for the second time, for example, he organized and moderated a CBS-sponsored panel at the prestigious Paraty International Literary Festival in Paraty, Brazil. Passos is also working closely with the Consulate General of Brazil in Los Angeles, whose cooperation with CBS dates back decades. The monthly Brazilian Film Series supported by the consulate and the Brazilian foreign ministry continues apace, with screenings in fall 2018 of “Vazante” by Daniela Thomas, “O grande circo místico” by Carolos Diegues (who was on hand for a question-and-answer session) and “Tito and the Birds” by Gustavo Steinberg, Gabriel Bitar and André Catoto. 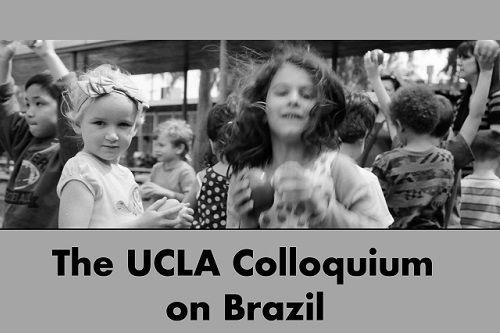 This academic year, the consulate is also cosponsoring the new “UCLA Colloquium on Brazil,” a series that features the latest research of UCLA graduate students, post-doctoral fellows and guest speakers. CBS hosted five such colloquia this past fall, hearing presentations by Brazilian novelists Adriana Lisboa and Beatriz Bracher, gender studies scholar Milena Britto, film scholar Douglas Ferreira and UCLA graduate student Kristal Bivona, among others. Passos keeps CBS on the map in a multitude of ways. Recently, the author was in Cuba for two weeks to participate in the jury for Latin America’s most prestigious literary prize: the Premio Casa de las Américas, which celebrates its 60th anniversary this year. And in January, the center concluded a Memorandum of Understanding with Universidade de Brasília (UnB), one of the most important public universities in Brazil. Wedged into his busy schedule, Passos also continues to write. Among his current projects are a novel about a young immigrant writing a biography of her mother that alternates between São Paulo and Los Angeles, and a fictional account of a real Southern Baptist missionary who became an abolitionist and supporter of women’s rights in Brazil after moving to the country in 1881. Now that some of his books have been translated into Spanish and Norwegian, we can only hope that some will soon also be translated in English. *The story was first published in Granta Brasil 13 (2015). See an earlier interview with Professor Passos here, and an article about his impressive Brazilian literary awards here.